The more impervious surface they have, the more nonresidential properties will have to pay. The November rain is back, which reminds me: Albany’s rain tax, in the works for most of the past two years, now is set and will show up on city utility bills starting in March. The city council started getting briefed on the “storm water utility fee” proposal in January 2015. Last Wednesday, without fanfare or debate, it took the final step by passing a resolution to specify what city water and sewer customers will have to pay. For most residential customers, the rain tax will be $6.74 a month, but the council also dropped sewer and water rates, so the net increase on the average customer’s monthly bill is expected to be $2.61, according to the city staff. The council adopted a three-tier system for single-family residential properties. For the 10 percent that are the smallest, the fee will be 50 cents less; for the largest 10 percent it’ll be 50 cents more. Nonresidential properties will be charged multiples of the residential base rate based on the size of impervious surfaces. Places with big roof areas and parking lots will pay the most. The Target distribution center in South Albany may be the single property with the largest rain tax bill, a net increase of about $1,800 a month based on its utility bills over the past year. The Albany school system as a whole, for all its buildings, will see a net increase of about $1,700 a month. 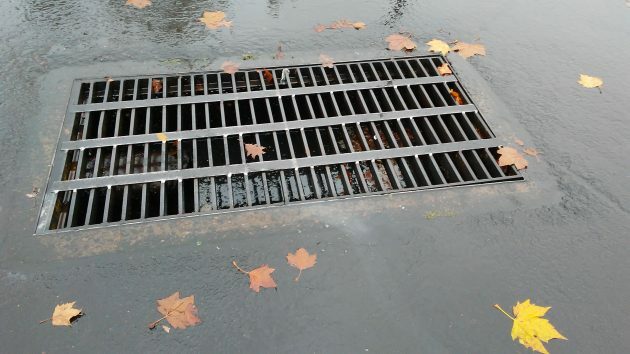 For the current budget year, the charges are expected to yield city storm water revenue of about $400,000 if all customers are charged starting March 1, which is the plan. Water rates will go down 2 percent when the rain tax kicks in, resulting in a $60,000 drop in water revenue for the year. Rates for sewer service go down 6 percent, for about $250,000 less revenue in that department. So what are they supposed to spend the money on, and what do you think they will really spend the money on??? By the way, wish you were still running the DH. Don’t subscribe anymore, nothing worth readying. Are the state requirements in the federal Clean Water Act, or are they regulations based on the act? Perhaps, the new administration can still get rid of them.